Dive Team practices are scheduled so divers can also be on swim team. 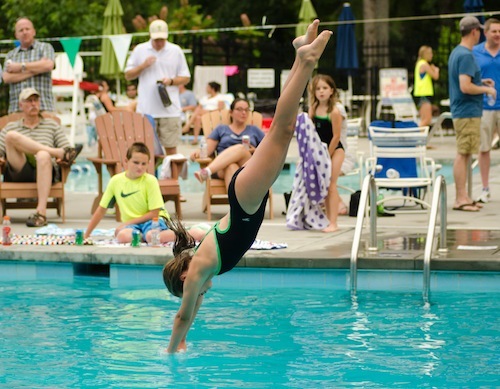 After sign-ups, the practice schedule may be adjusted to better accommodate enrollment, but dive practice times will always mesh with swim practices. Divers who have schedule conflicts can talk to the Head Coach about shifting their practice time. It’s important to attend practices to build consistency and confidence. Diving requires both mental and physical strength, so the more practices you attend the better you will be! Any diver repeatedly missing practice may not be allowed to compete in dive meets if safety is a coach’s concern. Practice attendance is considered for all-star team selection and special awards. **Note that practices on June 27-28 are for all-star participants only.